- SVR REYL SMART (m / Dual Rey) U$ 275,868: Res Campeão NCHA Open Super Stakes; 3o. L 2013 NCHA Super Stakes Open Classic; finalista NCHA Open Derby; Campeão West Texas Open Derby; Campeão Arbuckle Mountain 4-Year-Old Open. - WR THIS CATS SMART (m / High Brow Cat) U$ 236,514,00: Campeão NCHA Open Finals; Campeão PCCHA Spring Open Classic/Challenge; 3o. L NCHA Super Stakes Open Classic; Res Campeão Del Mar Cutting by the Sea Open Classic/Challenge; Campeão San Diego Open Derby; Res Campeão Suncoast Winter Open Classic/Challenge. Produtor. - ONE SMART LOOKIN CAT (m / High Brow Cat). $226,310: Campeão NCHA Open Futurity . -- FIRST LOOKIN (m/ Smart Little Lena). U$ 85,595: Res Campeão Southern Non-Pro Derby; finalista NCHA Limited Open Futurity; Res Campeão West Texas Non-Pro Classic. -- LOOKS HALREYCIOUS (m/ Halreycious) U$ 52,620,00 : top 10, NCHA Open Futurity; finalista 2013 Cattlemens Open Derby (Reservado Campeão castrado) e 2013 West Texas Open Derby. -- HERES LOOKIN AT YOU (f / Peptoboonsmal). U$ 34,356: Res Campeã NCHA Amateur Derby; finalista NCHA Am. Super Stakes. - WR SMART HICKORY (m /Doc's Hickory) U$ 70,611: Campeão Mundia NCHA Junior Youth; Res Campeão NCHA Limited Open Classic/Challenge. - DUAL SMART PEP (m/ Dual Pep) U$ 24,775,00: 6o. L Bonanza Open Derby; finalista Abilene Spectacular Open Derby. - SDP LOOKY LUE (f /Peppys Boy 895) U$ 22,929,00: Campeão Idaho CHA Limited Open Derby. - WR SMART N HICKORY (m/High Brow Hickory) U$16,357,00: Res Campeão NCHA Eastern Nationals $10,000 Novice. -- REYZILYANT (m/ Dual Rey)U$ 22,580,00: 3o. L 2012 PCCHA Fall 4-Year-Old Amateur Stakes (Campeão castrado); 6o. L, 2013 PCCHA Winter/Spring Open Classic/Challenge; 6o. L PCCHA Summer Amateur Classic, etc. 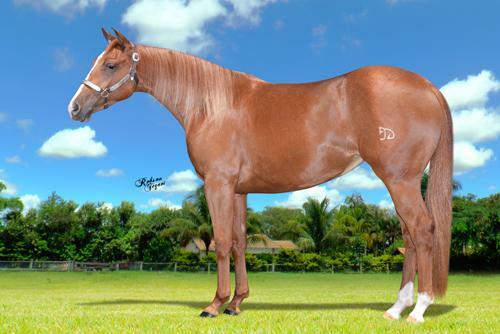 - SMART LOOKIN LANEY (f/ Cat Ichi ) U$ 11,566: finalista Tunica 4-Year-old Open Futurity. - LOOKIN UP HIGH (m/ Smart Lil Highbrow) U$ 11,226,00: Res Campeão NSHA Int. Open & Limited Open Futurity, finalista Open. -- LOOK THE LOOK (f / High Brow Cat) U$ 134,259,00: 4o. L NCHA Non-Pro Futu- rity e top 10 Open; finalista 2013 NCHA Super Stakes Open Classic. - THE LOOK OF HIGHBROW (m/ Smart Lil Highbrow) . 67AQHA points.